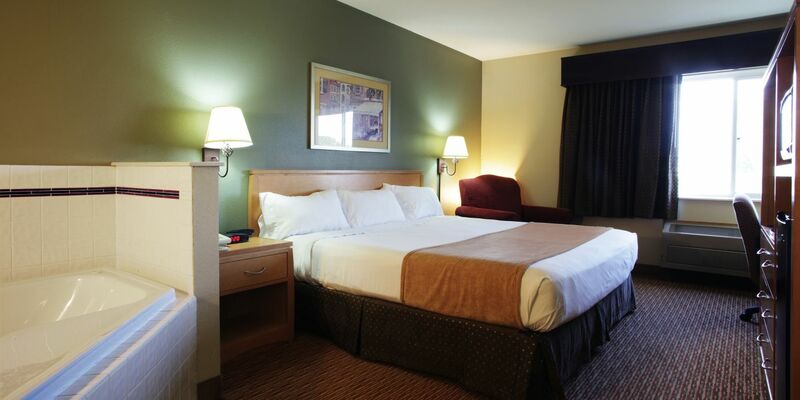 For the business traveler that needs to relax, this room includes a king size bed, lounge chair, desk and chair, 32” television, microwave, coffee maker, hair dryer, AM-FM alarm clock, iron and ironing board, telephone, and a two-person in the room whirlpool. A king bed, lounge chair, credenza, desk, microwave, refrigerator, telephone, 32” flat screen television, and, coffee maker, hair dryer, AM-FM alarm clock, iron and ironing board. 2 queen beds, credenza, table and chairs, telephone, a 32” flat screen television, coffee maker, hair dryer, AM-FM alarm clock, iron and ironing board. These rooms are L-Shaped and include a sleeper sofa to accommodate addition sitting and/or sleeping for families. 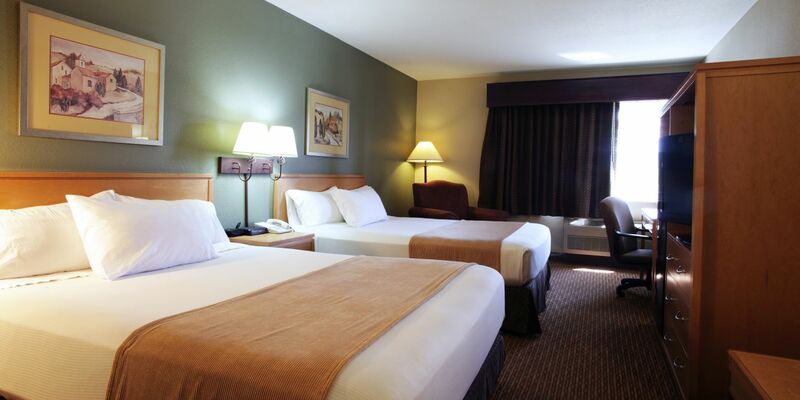 This non-smoking ADA accessible room is conveniently located on the first floor and features a comfortable Queen bed and upscale linens. The bathroom includes a raised toilet with grab bars, safety bars in the tub/shower with a removable shower seat. 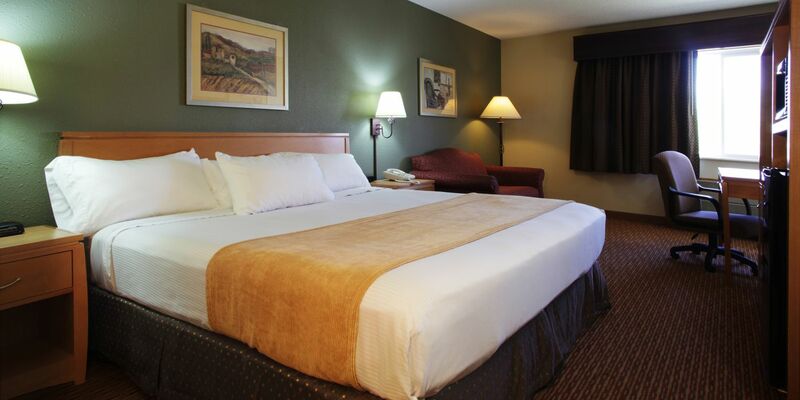 The guest room also includes wireless high speed Internet access, flat panel TV with HBO and Closed Caption capabilities, visual fire alarm, hair dryer, coffeemaker with coffee amenities, iron and full size ironing board, and free local phone calls. TDD equipment is available at the front desk.